For a non-binding and absolutely free price estimate, contact our 24/7 customer service assistants at 020 3746 1366 or online here now! We use the most efficient carpet cleaning methods to guarantee that your carpets and rugs are properly sanitised, the dust mites are killed and removed and that all the dirt and residues are gone, while at the same time - the carpet remains undamaged and safe. Every carpet cleaning starts with an examination, testing of the detergents which will be used and hoovering. Only then our professional carpet cleaner will proceed to deep clean the carpet. When steam carpet cleaning is performed, the cleaners use a professional hot water extraction cleaning machine. This technique is good for durable textiles. For more fine materials, we highly recommend dry carpet cleaning in Pudding Mill Lane. Our cleaners use special instruments to apply special dry compound cleaning foam in the fibres. The dry cleaning solution is left to remain there for some time and after that it is removed with a powerful vacuum cleaner. Along with it, any residues and dirt are removed. Our deep carpet cleaning is suitable for both natural and synthetic carpet fibres. We are among the first carpet cleaners in Pudding Mill Lane E15. Since the beginning, Ashlee House Cleaning has worked hard to establish itself as a top preferred and leading carpet cleaning service in the region. Our professional cleaning services company works with many private and business customers. 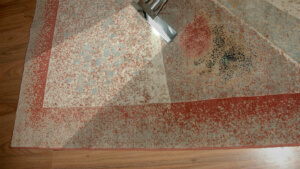 We will get all carpet types cleaned safely and proper fibre protection can be applied. We work with and invest in the most modern professional cleaning technologies, methods and solutions, because the 100 % satisfaction of our clients is our main priority! To boost the longevity of your carpet, and to get it look like it is brand new, book our expert carpet cleaning service today! Ashlee House Cleaning has been providing professional rug and carpet cleaning for domestic and commercial properties as well to the residents of Pudding Mill Lane E15 for over 10 years. We work only with recommended, vetted and trained cleaners, who are equipped with the newest expert cleaning technologies and with safe and yet highly efficient cleaning solutions. Our cleaners are experienced and trained to clean any kind of carpet or rug, and to remove a wide variety of different stains, such as: paint, blood, oily stains, wine, rust, coffee, tea, vomit as well as repair moth damage. Make the most of our easy booking system now! No deposit is required for hiring our carpet cleaning experts in Pudding Mill Lane E15. Contact our 24/7 customer support at 020 3746 1366 or online here. Pick any day you want for the cleaning service. In fact, our reasonable prices are fixed, so there are no hidden fees. You can get preferential rates if you are an estate agency, regular client, a landlord or if you make an early booking. You will get a discount for ordering several of our cleaning services today!